As my friend and blogmate Janie Hermann recently pointed out, we've all been a little too busy lately to post to the blog. But that got me thinking (as many things do) to one of my favorite Seinfeld episodes, The Boyfriend. Jerry gets upset because he gave his phone number to Keith Hernandez, but Keith hasn't called yet. Elaine suggests that Maybe Keith hasn't called because he's been busy, to which Jerry responds, "Why do people say they're too busy. Too busy. Pick up a phone!! It takes two minutes. How can you be too busy?" We're all busy right? No excuses. So I'm "picking up the phone", as it were. While the past coupla months really have been maybe the busiest I've been in my career, they've also been extremely satisfying. Last Thursday, I got home late after two days of traveling, standing, and talking (one day co-teaching a team building workshop, one day staffing a booth at a business expo) to find AL Direct in my email. I was thrilled and energized to see that two projects that I've been involved with received recognition. I've already mentioned the launch of the CEBuzz blog in a previous post, but I don't think I've written yet about the commercial we have running on MTV to advertise QandANJ. I gave a sneak preview of an early cut of the commercial to attendees at the Colorado Collaborative Virtual Reference Symposium this summer, but you can now view on YouTube the final version (that premiered during the MTV VMA's and is now running on MTV in Jersey markets). Almost 2200 views and counting! The commercial has also gotten us some attention from our local press in the Philadelphia Inquirer. I suppose what I've enjoyed most about the past few months is that there has been an incredible amount of collaboration with smart, results-oriented, creative, fun people! 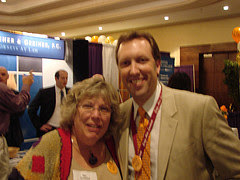 The launch of the CLENE blog was a collaboration between (or is it among--grammar police, please comment) me, Gail McGovern, and Mary Ross. We worked together (remotely) to plan the blog (mission, goals, editorial guidelines), design the blog, and recruit a wonderful roster of authors. Then there was the (again, remote) collaboration with my Library Garden blogmates to put together our traveling road show, "Magical Mystery Tour". The first day we presented (On Aug 22, in Princeton) was actually the first time we were all in the same room together! Concurrently, I was collaborating with my friend and former co-worker Karen to put together and deliver a full day workshop on Team Building as part of New Jersey's multi-part "Super Library Supervisor"series. Karen and I used to be on a county library management team together, but we had never trained together, so this was a real treat! Team training is always more fun than going it alone, especially when it's with someone you just enjoy being around. We delivered the training last week, and while neither of us was used to being on our feet for 8 hours, the day was a great success. 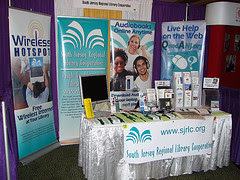 The day after our training, I had the pleasure of staffing SJRLC's booth at the South Jersey Business Expo. This was the third year we've had a booth at the Business Expo and it's been a great success. SJRLC's crack Advocacy Team plans for the Expo throughout the year and takes shifts staffing it on the day of the event. 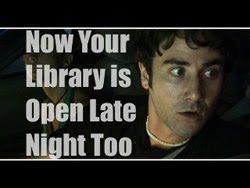 It's amazing how many people want to stop and talk about library services. And let me tell you, telling them that they can get 24/7 research and homework help (through QandANJ) really stops them in their tracks. I just love blowing people's expectations out of the water like that! Almost as much as I love having the opportunity to work with so many top notch people. 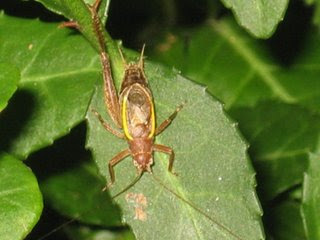 I hear the sounds of crickets in the garden -- the Library Garden, that is! My guess is that not only myself but all the other members of our blog team have been swallowed whole by September and all that it entails with the start of the academic year, new jobs, and new programs to plan. Not to mention that we have had a lot of good weather in NJ the last few weeks and I, for one, am taking time to enjoy it while I can. I do believe that this is officially the longest our blog has been quiet. When Pete, Robert and I first talked about starting Library Garden we really felt that having 6-7 contributors was essential. The three of us all knew that our schedules would not allow for us to have individual blogs that we could maintain with any sort of consistency, but we felt we had a good shot if we had a team to blog with us. Our strategy has worked so far and I know that this silence on LG is just a matter of life trumping blogging for a few weeks. If you haven't already heard ( see here, here, here, or just google quechup) Quechup is, well, rotten. Quechup then searches your address book and...wait for it... SENDS AN INVITE IN YOUR NAME TO EVERY EMAIL IN YOUR ADDRESS BOOK.